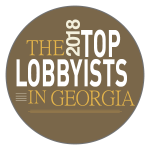 ATLANTA, August 8, 2018 – Taylor English Decisions LLC, the business consulting and government strategies affiliate of Taylor English Duma LLP, is pleased to announce the additions of Ashton Harper and William Woodall to the firm’s Government Affairs practice. Harper and Woodall are joining Taylor English Decisions from Third Street Strategies, LLC, a lobbying firm with more than 30 years of experience representing Fortune 500 companies, small businesses and associations. Harper, an entrepreneur, has a background in public service. Over his career, he has developed meaningful relationships with key decision makers in Washington, DC and Georgia. One of his more successful endeavors was securing millions in federal contracting for a domestic contractor. Woodall has years of experience as a political consultant and public affairs professional. He served as county chair for Perdue for New Georgia and district chair for Governor Perdue’s re-election campaign as well as congressional district chair for former President George W. Bush. Harper attended Abraham Baldwin Agriculture College in Tifton, Georgia, and Woodall graduated Presbyterian College with a BS in Political Science. Taylor English Decisions LLC is a purpose-built business consulting and government relations firm. On the business consulting side, the firm works with senior management to improve operating efficiencies. On the government affairs side, the firm assists its clients in understanding the complex and ever-changing nature of public policy. The firm’s goal is to better the relationships between businesses and governments on the federal, state and local levels.